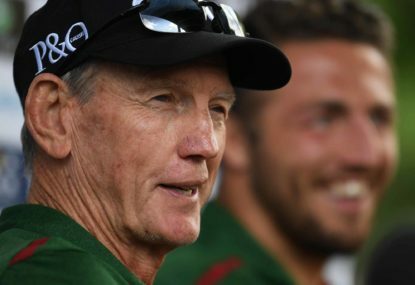 Whatever coach Wayne Bennett said during the week at training certainly did the job, but it was Johnathan Thurston of the Cowboys who almost stole the game in the dying moments by setting up what looked like a certain try to Scott Bolton – only to see Bronco Tevita Pangai Junior crash tackle Bolton straight into the upright and take the ball on the line. Indeed, it was a match-winning performance by Pangai, who scored one try and almost scored another. But the Broncos’ performance was simply a great team effort with the Broncos halves doing a lot of running. The Cowboys, for their part, started the game strongly and looked completely in charge for the first ten minutes, but then the Broncos regrouped and the Cowboys struggled to cope with the Broncos strong running game. In the attack, Cowboys Jordan McLean, Jason Taumalolo and Matt Scott who had run freely in the first ten minutes were finding it difficult to make progress into the Broncos defence. 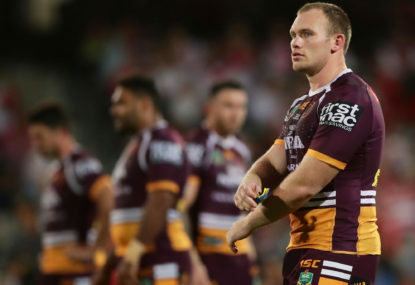 Maybe it was the big crowd at the Broncos home ground or maybe it was Wayne Bennett’s words during the week, but whatever it was the Broncos will have gained confidence from the game and now also have two points. 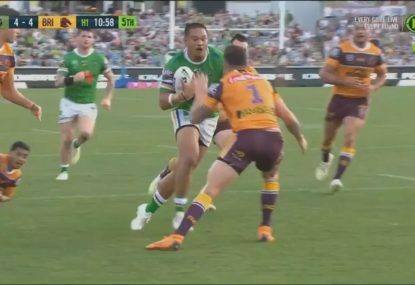 The Broncos did pay a price for their win, with Jordan Kahu taken from the field during the game with a broken jaw. He will probably miss at least six weeks. For the Broncos, the question is how long can the team perform at this level without burning out or suffering an unsustainable injury toll? That is a question that only time will answer. 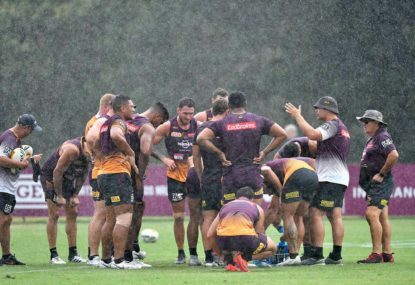 The Broncos play Wests Tigers away next week and will need to find a replacement for Kahu. 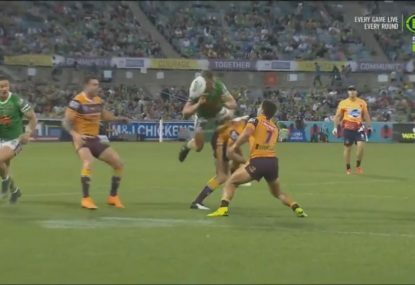 For the Cowboys, the first ten minutes was perfect and possibly no team in the competition could have withstood the Broncos intensity after that, but one lesson was clear: the return of Michael Morgan is desperately needed to take the opposition focus away from Johnathan Thurston and provide a second set of fifth tackle options. The Cowboys play the Storm away next week and will be desperate to have Morgan back.